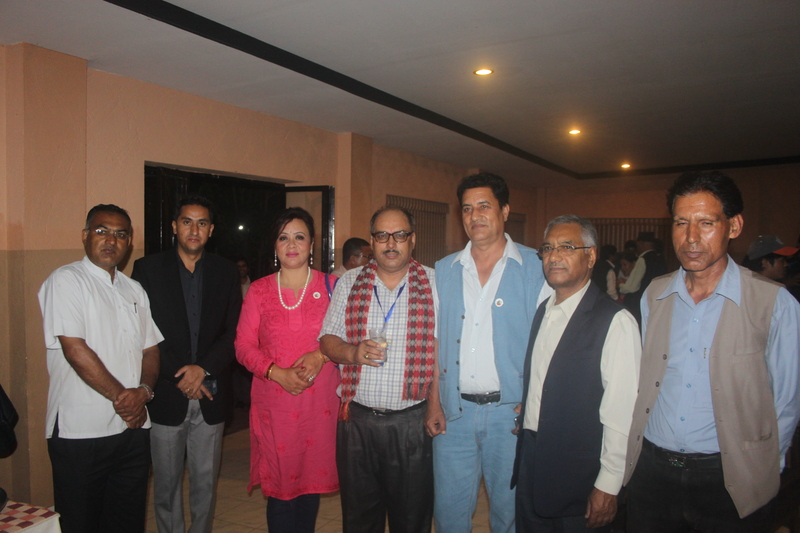 FSCN conducted its 18th Annual General Meeting in Bagaicha Restaurant on 30 September, Friday in presence of its executive committee, present and former board members, stakeholders, organization staffs and various other important personnel. 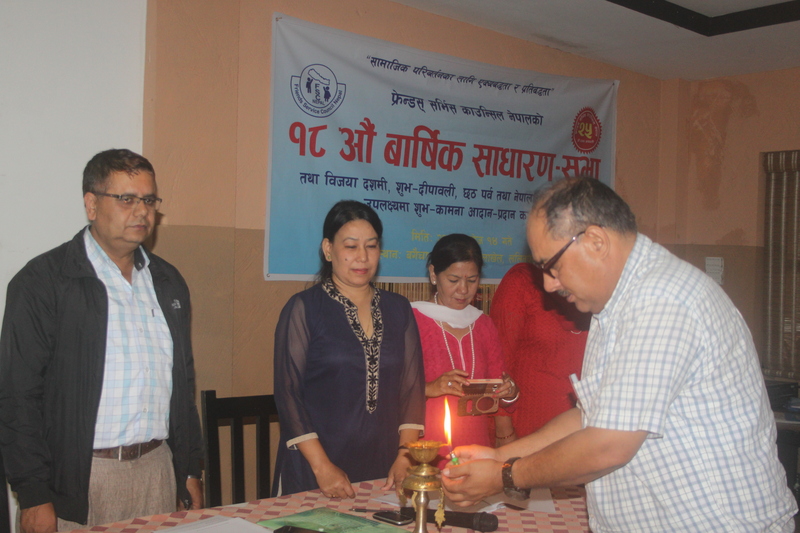 The inauguration of the event was done by Mr. Surya Bahadur Thapa, Executive Chairperson of FSCN who was also the programme chair. 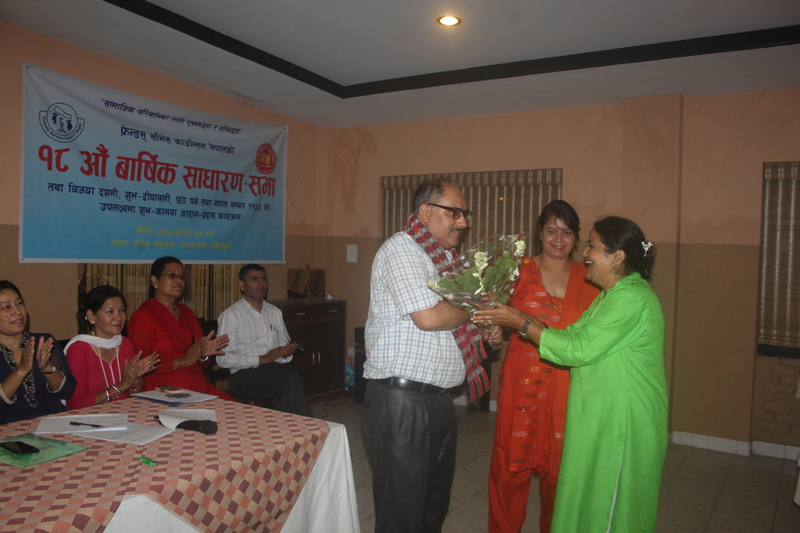 The programme started with a welcome speech by Ms. Basanta Laxmi Shrestha, board member of the organization. 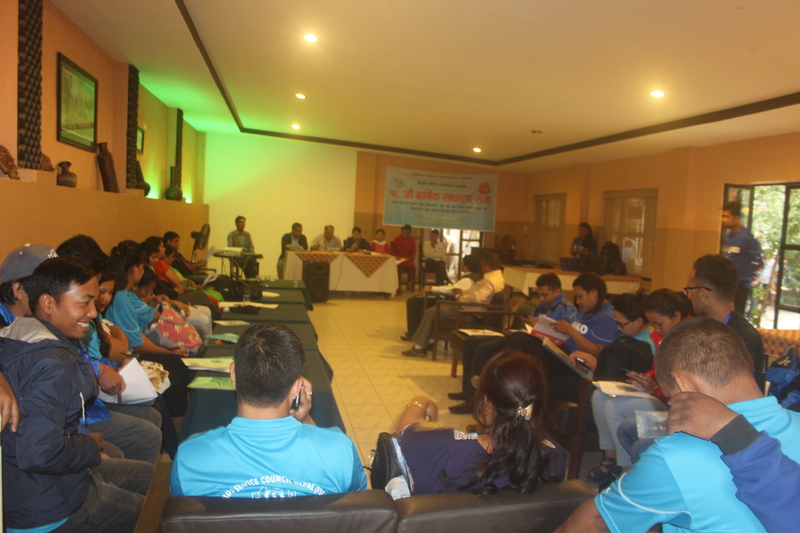 After that, progress report of fiscal year 2072-73 and proposed plan of 2073-74 was presented by organization’s general secretary Ms. Madhavi Pradhan followed by presentation about budget turnover of previous year and proposed budget of 2073-74 year by treasurer Mr. Janardan Acharya. The proposed plan and budget was approved from the general assembly after an open floor discussion session. Auditor and chartered accountant Mr. Apil Subedi was also present at the time of budget presentation and discussion session. Major innovations of previous year and planning for sustainability of the organization without dependency towards donor agencies, were the major agendas discussed in the programme. The stakeholders, well-wishers and board members congratulated the organization for successful completion of its 25 years. Program Officer Mr. Santosh Pandey congratulated the organization and conveyed best wishes on behalf of whole FSCN team. After the formal programme, Vijaya Dashami and Deeplawali greetings exchange also took place. Former MP Mr. Krishna Lal Maharjan, CPN UML Lalitpur chapter Chairperson Mr. Hari Krishna Byanjankaar, Image Channel news chief Mr. Jagdish Kharel, FPCRN (Forum for Protection of Consumer Rights-Nepal) Secretary General Mr. Baburam Humagai, National Youth Council Lalitpur Chairperson Mr. Ram Chandra Ghimire, Disaster Management Network Nepal (DiMaNN) Secretary General Mr. Bishnu Timalsina etc. were some of the important persons present in the AGM.